The original Figure 1 was incorrectly labelled in the published version of Verschueren (2017). 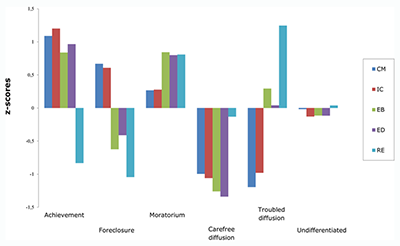 The correct Figure 1 is below, with the labels ‘foreclosure’ and ‘moratorium’ switched to their correct positions. Standardized z-scores for the identity processes for the final six-cluster solution. CM = commitment making; IC = identification with commitment; EB = exploration in breadth; ED = exploration in depth; RE = ruminative exploration.